LOUISVILLE Healthcare reform is one of the most hotly debated political issues of the 21st century. Physicians across all specialties agree the system needs repair. How to fix it is another matter entirely, one that physicians, hospitals, insurance companies, and patients all view differently. Imagine then, if instead of trying to make incremental adaptations to an enormous system with innumerable failures, you could simply start over from the beginning. Tabula rasa. A blank slate. In essence, that is the opportunity seized upon by Premier Gynecology and Obstetrics (PGO), a physician partnership formed in July 2011 encompassing five Louisville OB/GYN practices and 25 board-certified physicians, who have aligned themselves with the legacy Jewish Hospital & St. Mary’s HealthCare organization (JHSMH), which is part of KentuckyOne Health. Unlike the hospital-employed physician models, PGO is an affiliated model. Leaders describe the relationship between the five original groups as an on-going blending of practices. In relationship to KentuckyOne, PGO is aligned with, but not owned by the healthcare system. PGO represents some of the longest-standing, most experienced practices and practitioners in Louisville. The five independent practices that make up PGO are: Louisville OB/GYN, Louisville Physicians for Women, Partners in Women’s Health, Susan Bornstein, MD, and Total Woman. 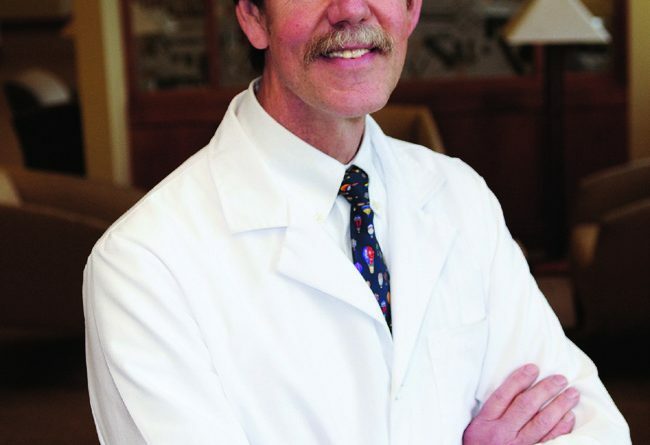 The group is led by PGO President and Medical Director Robert Zoller, MD, an OB/GYN with Partners in Women’s Health who oversees the executive council and clinical operations among physicians. Vice President and Executive Director of Women’s Services for JHSMH, Kimberly Alumbaugh, MD, a founding member of Total Woman, represents the women’s service line interests within the larger system and plays a strategic and creative role in shaping the women’s care agenda of KentuckyOne. The concept for PGO began to take root nearly three years ago in off-the-radar conversations between physicians. Knowing they were disparate in the way they transacted patient care, the partners were surprised at how similar their philosophies and goals were. Originally, including a hospital or healthcare system was not part of the plan, but the financial backing and infrastructure a healthcare system could provide was an attractive addition. The legacy JHSMH’s lack of a gynecologic and obstetric presence in Louisville made them the perfect blankslate partner. “I don’t know that you could find a better group of physician leaders. This was a courageous move. They moved from doing what they had done forever to recognizing an opportunity and just striking out anew,” says Alumbaugh. Kentucky’s poorly ranked overall health, looming changes to healthcare regulations, increasing costs of overhead, and a general unhappiness with previous hospital relationships were galvanizing points for the physicians. Previous interaction with hospitals had been one-sided relationships. “OB/GYN is very much an outpatient world. We spend 10 months of care with our obstetric patients and there’s a very brief, isolated window that’s done in a hospital,” says Alumbaugh. Comprehensive patient care should not be solely based on that one occurrence, but transformed because of it, she asserts. KentuckyOne serves as an outsource for operational and practice management services, such as coding, billing, human resources, and electronic medical records (EMR). Two of the practices already use EMR but will transition to Allscripts beginning this fall as the other practices are brought online with the system. Zoller contends that the concept of providing the best care at the right time in the most efficient way was the unifying link between the groups. “Focusing on the patient’s overall health and providing professional and technical excellence is how we hope to make a difference. It matches our mission statement perfectly,” he says. Incorporating the best practices of each group and the system at large is a tremendous benefit. “We are learning from each other … We’re bringing each other up in different ways,” says Zoller. Constant dialogue and a fluid operating plan that adapts as needs arise are also some of the secrets of their early success. Not only has PGO found a partner in KentuckyOne whose leadership and innovation match their own mission, they also have found a system with a reputation for excellence and a network of comprehensive services. OB/GYNs are often the only physician a woman sees on an annual basis and those relationships span a lifetime of care, making it the perfect access hub to integrate and synthesize the many disciplines that encompass women’s care. For KentuckyOne, the relationship is also about extending the things OB/GYN already does well, like prevention, to other services. 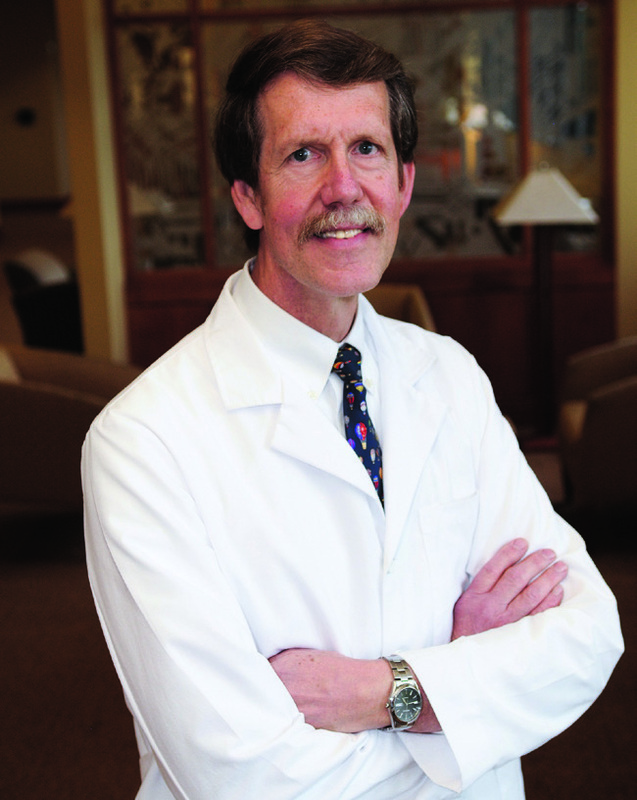 Stephen Lebder, MD, OB/GYN with Louisville OB/GYN, says the top three most common diagnoses in minimally invasive gynecologic surgery are fibroids, adenomyosis (a condition where the endometrium invades the muscular tissue of the uterus), and dysfunctional uterine bleeding. Lebder estimates only five to 10% of patients need surgery from the outset, as many patients can be controlled with medical therapy, such as oral contraceptives, hormonal injections, anti-inflammatories, or intrauterine devices (IUDs). One minimally invasive treatment for fibroids and bleeding abnormalities is endometrial ablation. “Ten to 15 years ago patients who had fibroids or adenomyosis or even dysfunctional uterine bleeding were more likely when they failed medical therapy to undergo hysterectomy. A large number of those now can actually have an endometrial ablation,” says Lebder. He asserts that 75 to 80 percent of ablations are effective long-term at improving symptoms and quality of life. Minimally invasive fibroid surgery mainly consists of two options: myomectomy and hysterectomy. Over the last 20 years, laparoscopic techniques have evolved from laparoscopic-assisted vaginal hysterectomy to laparoscopic supracervical hysterectomy and total laparoscopic hysterectomy. The newest iterations are single-site surgeries and robotic surgeries. “The old traditional laparoscopic hysterectomies require patients to have usually two or three, if not a fourth port. Now we’re trying to accomplish many of those types of surgeries with a single port,” says Maria Schweichler, MD, OB/GYN with Total Woman. She cites the ability to see around corners using a flexible camera with single-site as a big advantage, as well as its potential for economic sustainability. “You have to look at technology as a cost and contain it so that the smartest technologies succeed … single-site has been a real homerun with that,” says Schweichler. Robotic surgery, as Lebder sees it, is another extension of laparoscopy that allows for better visualization and more precise movements in more complicated cases. “We see lots of women concerned with their breast health, breast lumps, breast pain, and just a lot of women aren’t really comfortable with their breasts because they’re worried about them,” says Catherine Case, MD, OB/GYN with Total Woman, which is one reason why PGO and KentuckyOne are developing a multidisciplinary breast care center of excellence. While most of the PGO offices have mammogram on-site, the infrastructure of Jewish Hospital Medical Center East provides a comprehensive range of diagnostic tools, the digital technology to rapidly communicate results, and easy access to follow-up care. “It’s a very streamlined system that really helps with getting patients in early, biopsies done earlier, everything done as smoothly as possible,” says Shannon Thomas, MD, an OB/GYN with Partners in Women’s Health. Another common clinical issue is incontinence. “The fundamental question is what causes the incontinence and then you can tailor your treatment to fixing it,” says Case. Specialized bladder testing helps differentiate the problem. Simple solutions include dietary changes, kegel exercises, bladder training, and antibiotic treatment. In some cases, surgery is warranted to support the neck of the bladder. Tension-free vaginal tape (TVT) or transobturator tape (TOT) procedures are done as an outpatient and can be bundled with hysterectomies. PGO physicians deliver at Baptist Hospital East and Norton Suburban Hospital, as the legacy JHSMH does not offer labor and delivery services. Two of the physician groups have begun sharing call at Suburban, one of the many integrations that will grow as the groups become more familiar with each other. Beyond typical pregnancy care, the OB/GYNs of PGO manage advanced age pregnancy and many high risk patients. According to Thomas, women over 35 have a harder time conceiving, an increased risk of chromosomal abnormalities, and a greater chance of medical issues, but for the most part patients over 35 do really well and have a good experience. Screening tests are offered to all patients, but invasive tests such as chorionic villus sampling (CVS) and amniocentesis are given more consideration by women over 35. PGO will celebrate its one-year anniversary on July 1. “As far as working together, the potential for improving patient care and total care, we’ve only scratched the surface,” says Zoller.